Start SATURDAY APRIL 6th INDIVIDUAL PRIVATE LESSONS ARE STILL BEING SCHEDULED!! At Geneva Archery we are committed to train and develop archers of all ages. Our goal is to shape them into accomplished archers through group programs and private lessons. Our archers compete at local, state and national tournaments. Instructor/Coach Certification classes are available. 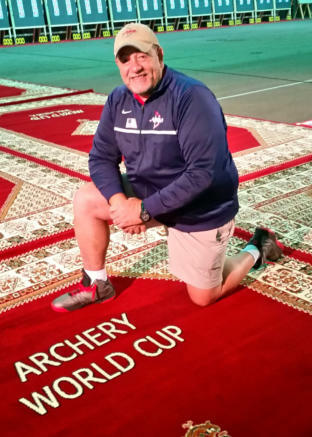 Certified USA Archery Level 4 Coach, National Training System and Coach Trainer, USA Archery National Judge, USA Archery International Team Staff, USA Archery Nominating and Governance Committee, 2nd Term World Archery Americas - Chairman Development Committee, American Sports Education Program Certified Coach USOC/USA Archery SafeSport Certified 2019, Owner of Geneva Archery Club and Archery Range Head Coach of Geneva Archery Junior Olympic Archery Development Club Tournament Organizer and Director, Invictus Games 2016 Involved with the Programmatic Development and Growth of Archery, both State, National and International Initiatives. Member of National Archery Association, (NAA) Member of National Field Archery Association, (NFAA) Previously Consulted for Archery TV shows and Realty TV Competitions Past Florida Archery Association (FAA) North Region Vice President, two terms, Competitive Archer, competing in State and National Tournaments. Geneva Archery was featured in a news story on WOFL-TV Fox 35 talking about the JOAD program and the sport of archery. At Geneva Archery we are committed to train and develop archers of all ages. 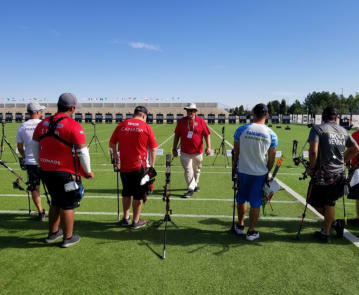 Our goal is to shape them into accomplished archers through group programs, one on one coaching and competitive leagues. Private lessons can be scheduled. Our archers compete at local, state and national tournaments. Instructor/Coach Certification classes are available.